Fab@School Maker Studio is the first digital fabrication software tool developed specifically for use in the classroom. It is an easy-to-use, web-based program that invites students to experience STEM and STEAM learning in an engaging, personally meaningful way. How do you encourage young STEM learning in a positive, creative way? Envision a classroom where students are actually working as engineers—a classroom where students imagine, invent, design, test, and collaborate to solve compelling problems. Picture a classroom where creativity flourishes and making mistakes is part of the learning process, as students discover for themselves what works and what does not. And imagine a classroom where every student walks away from a lesson with a 2D cutout, pop-up, 3D model, or working machine they designed and created themselves. This is the Fab@School classroom, where the enthusiasm for learning is palpable. As one student said, "You can actually do it...you can see it and you can understand it!" As part of an international consortium of research and education partners led by Dr. Glen Bull and his team at the University of Virginia, The Reynolds Center Teaching, Learning & Creativity, in collaboration with noted educator and software designer, Dr. Peggy Healy Stearns, designed and developed Fab@School Maker Studio. Fab@School Maker Studio is a web-based application that allows students to design and create in the classroom, library, makerspace, and even at home. 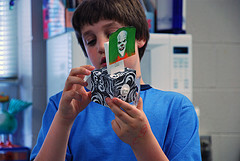 Students use paper with either their regular classroom printer and scissors, or 2D and 3D digital fabricators, to construct a wide array of objects, including pop-ups, working machines, buildings, boxes and packaging, wind turbines, automata, paper airplanes, speakers, model skateboard parks, and more. As students take their concepts from mind's eye to physical form, they explore science, technology, engineering, and math through collaborative, hands-on projects. Students can start with Ready-Made projects and tutorials, and then dive right into a brand new project with the easy-to-use design interface. In June 2018, MaSTEM students in grades 1-5 in three school districts in Massachusetts participated in PEAR Institute Common Instrument Suite (CIS). This end of year survey is done through the PEAR Institute: Partnerships in Education and Resilience at Harvard Medical School and McLean Hospital, and measures students' interest and engagement towards Science, Technology, Engineering and Math (STEM). 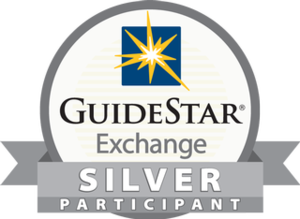 “Overall, of the students that completed the CIS at Fab Schools in Spring/Summer 2018, 96.9% of students reported positive gains in STEM Interest and 82.1% in STEM Identity as a result of participating in their programming. Additionally, 84.6% of students reported positive gains in Relationships with Adults, 61.5% in Relationships with Peers, 87.2% in Perseverance, and 87.2% in Critical Thinking,” according to the report. For more details click here.